Facebook has been an invaluable tool for me with keeping up with library news, creative ideas, and the latest developments in the library world. However, I keep hearing of people saying they are leaving Facebook because it is too negative. While that certainly does happen, there are a few tricks you can employ first to decrease the negativity before you jump ship. There are so many great librarian Facebook Groups, ranging from different topics to different group sizes. I have learned so much from them and utilized them to ask my own questions. However, as with any public group, there are trolls who will bring you down pointless rabbit holes. Instead of leaving the group, block those individuals instead. (Yes, you can block people you aren't friends with!) I have found this really handy, and was surprised at what a difference it made with just blocking a few key offenders. I am open to hear different opinions, but if people aren't being respectful, I don't need them in my news feed. 2. Save the Great Posts! One of the best parts about librarian Facebook Groups is that there are a lot of great information being shared. If you want to save a post for future reference, all you need to do is click on the time stamp of the post. It'll give you a special URL you can save and it'll bring you back to that specific post. Instead of relying on Facebook to guess what is important to you, take the time to go through your liked pages and make all your favorites a priority. You will need to visit each page, click "Following", and then mark it as "See First". Now their posts will appear first in your news feed, diversifying what you see on Facebook with a great variety of the stuff you love (for me, that's library comics, blogs, local newspapers, etc.) before I even get to the top posts from family/friends and groups. (You can also make people a priority, too.) My Facebook news feed feels well rounded and fun -- and I don't have to worry about constantly liking page posts so they don't disappear from my news feed. 4. Utilize the Save Post Function! Being a librarian, there are posts that appear which I want to respond to with more depth or add a link which can be tough to do on a smartphone. I save these posts for later and then revisit them when I am on a computer. 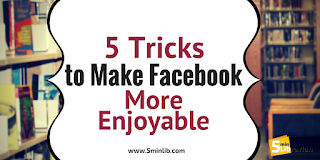 It is also useful for the interesting articles that are appearing in your news feed but you don't have time to read. You just click on the three dots and then "Save Link" or "Save Post". Did you write a comment and now you're getting notified of everyone else's responses? You can turn that off by revisiting that post and clicking on the three dots to the upper left. You will see an option to turn off the notifications. (See image above.) Getting lots of notifications from groups? Visit their main page and turn them off (there is an option below the cover photo). Are people you are following filling up your news feed with posts you don't want to see? You can go to their page, click "Following" and mark it as "unfollow". If you want to just block certain posts from pages they keep sharing, you can click on the three dots on their shared post and directly block the page they shared from. Facebook takes up a lot of space on your smartphone. If you want something lighter that also offers a less intrusive messaging app, I highly recommend using the Friendly for Facebook app. 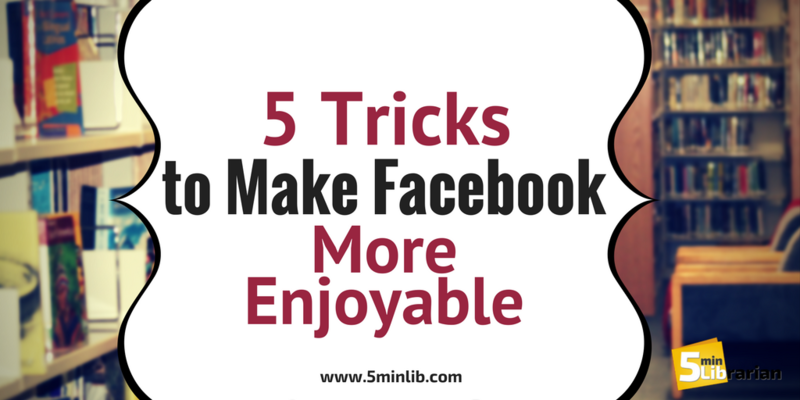 Do you have any Facebook tricks? We'd love to hear about them in the comments.